Virgin Australia has appointed 25 year US airline industry veteran Gary Hammes as its new chief operating officer (COO), with effect from February 11. Hammes joins Virgin Australia from World Airways, where he served as chief operating officer. Prior to World Airways he served as senior vice president and chief operating officer of ASTAR Air Cargo. He has also worked for Northwest, United Airlines, where he was 737 fleet operations manager, and Evergreen International. As COO at Virgin Hammes will have responsibility for ground handling, flight operations, line maintenance, engineering, safety, catering and network operations teams. 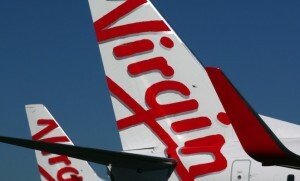 Hammes will be based in Virgin’s Brisbane office. He replaces Sean Donohue, who left the airline last October to take on the role of CEO at Dallas/Fort Worth Airport, and since then Sean Turner has been Virgin’s acting chief operating officer.